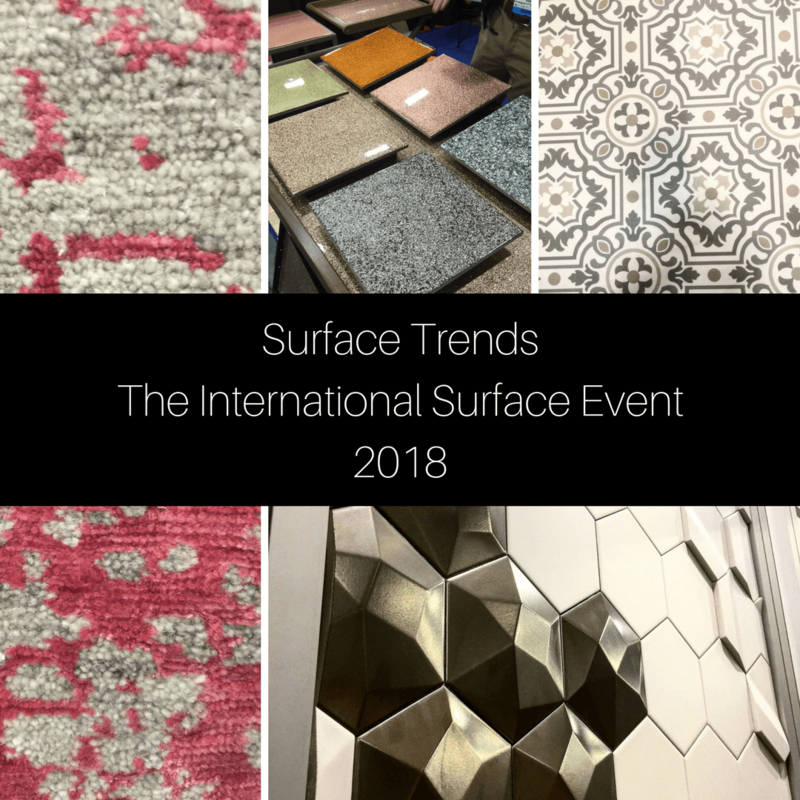 The Designhounds were on Location in Vegas at The International Surface Event and I was honored to be representing as one of four professional trend spotters. Don’t just take my word on what was HOT, follow the other Designhounds as well, to get the full picture of the latest surface trends for 2018. There is no better way to find out the latest surface trends than The International Surface Event held in Vegas every year. Now that I have attended, it is a must go for me. Not only is it the go-to to see the latest in materials, fabrication and installation methods, it’s benifitial for networking with the industry and adding to my community of manufacturers and designers. From slabs for wall cladding to decorative tile, porcelain is the trending star. Due to technology with digital printing, porcelain can take on any look. If you are a lover of natural stone but not too keen on the maintenance and the cost associated with it, then porcelain is a great solution. Want an artistic wall like wallpaper gives in your shower? All possible with digital printing on porcelain. Along with mimicking natural surfaces like wood and stone it can also give the authentic look of an old brick painted wall. Did you know that Daltile along with tile, also does slab porcelain material for wall cladding and countertops? If I am being honest, I didn’t, but am happy I do now as their selection is stunning! I also found that they have showrooms with Daltile display’s near me in Florida. If you would like to find out about a displaying showroom near you go to their website and use the store locator. Who doesn’t love the texture a painted brick wall adds to a space. You don’t have to live in an old apartment in NYC anymore to get this look. Emser Tile can do it for you with their painted brick porcelain look. Emser Tile’s booth was amazing at the show, I didn’t want to leave. In addition to the 3D tile below you can see my journey through their booth as I Facebooked it LIVE from the showroom floor. I couldn’t talk about porcelain tile and not mention the latest in a wood look. This tile gives the authentic vibe of the very expensive burnt wood flooring, check it out. Wood is a desired product but if you live in a coastal area you might have reservations about adding it in your home for the fear of the effects of humidity. Let me tell you what I saw at the show, flooring that was made with 90% wood and is waterproof, crazy right? Also, vinyl wood is trending due to the ease of installation and durability. Check out my Facebook live interview with Mohawks Redwood Plus product that doesn’t allow moisture to penetrate and is pet friendly too. I saw a lot of vinyl wood flooring products and I personally have several jobs with vinyl planked floors being installed right now. Client’s love the authentic look of the product and are thrilled with its maintenance free properties. One company that really stood out to me was Karndean Design Flooring. They have a product that is waterproof and is installed without glue down, you simply lay it in place and it will not move. If you want to actually see it check out my Facebook video. Almost every manufacturer of wood flooring and vinyl wood flooring was showing mixed tones. This is a bit of a rustic look and, though it was not my favorite, it appeared to be trending at the show. Another way they used mixed tones was to create a geometric vibe. At every show I attend I love finding artisans rocking their own trends. I always add them to my personal library of materials that I like to pull out of my hat when I get that perfect client match for their unique look. One particular product that drew me in was Mirth Studio featuring hardwood floor tiles that were digitally printed from the original artwork of artist Sally Bennet. Another unique product I found was Marshall Brown Dynamic Metal Surfaces. Using metal flakes they create all different shades of sparkle. They can apply this to tile or even coat furniture or walls creating a show stopper. Marshall talks in my Facebook interview about how light shining on the metal flakes makes it standout which I think would be great in commercial design. I love popping color in my design with carpet and The International Surface Event had plenty of beautiful carpets and rugs to look at. I couldn’t help but put my hands all over it! My final pick of the show was a disrupter to the installation industry. Scott Humphry, CEO of Magnetic building Solutions gives a jaw-dropping interview you need to watch. This product is revolutionary when it comes to installing almost any surface. My experience in attending The International Surface Event was inspiring. This is one show I would highly recommend to all industry professionals in order to stay on the cutting edge and to keep your finger on the pulse for the latest in surface trends. The idea of magnetic walls and floors is very appealing, but are there any negative health consequences from having these kind of magnetic surfaces? I know there is a danger from power lines and dense magnetic fields in large buildings. Is anything known about being surrounded by these large magnetic sheathes? P.S. 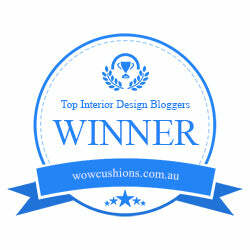 : I love this blog and have used many of your ideas in remodeling my home. No, there is no health risks to magnetics. As a matter of fact they use magnetic therapy for issues like tennis elbow. This is a great product that will revolutionize the installation industry and it’s great for DIYers!